I have been a huge fan of fit fashion destination Active in Style for literally years now – they launched in the UK over three years go, aiming to feature a curated collection of the best activewear from a round the world, and they have not only succeeded in this (opening their beautiful Kings Road concept store last year) but also creating a community both on and off-line of fit, fashionable females who want to live their best active life. So when they asked me if I’d like to host one of their regular #RUNCHELSEA workouts as a guest trainer I didn’t hesitate to say yes! 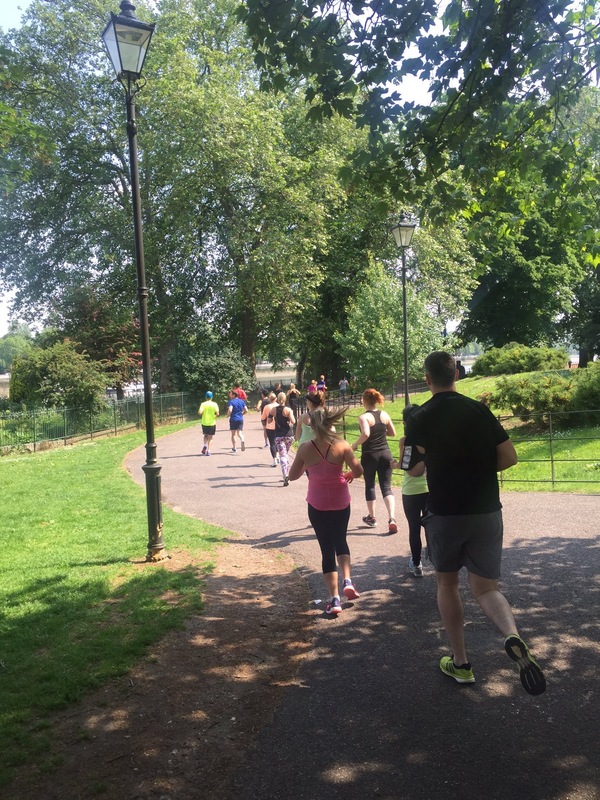 So earlier today, in the beautiful West London sunshine, I lead a group of 25 eager exercise enthusiasts on a 5k run through Chelsea and Battersea Park, stopping for an intense 10 minute HIIT workout halfway through. What exactly did this entail? 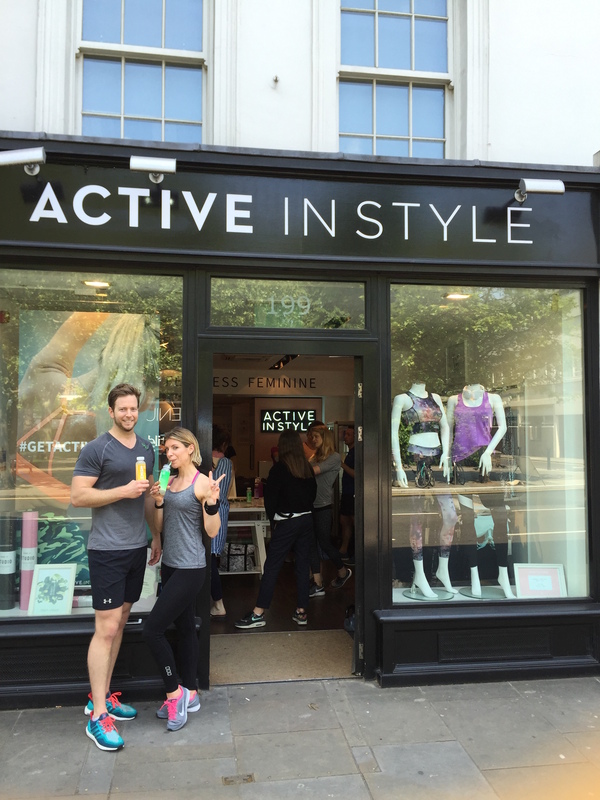 I met the group of runners at the Active in Style store (199 Kings Road, Chelsea, SW3 5ED) at 10.30am, and after Andrew from AIS gave a welcome and introduction I ran through the plans for the next hour – a 1.5k run across Chelsea Bridge into Battersea Park, a stop in the park for a ten minute full body HIIT workout, then a 3k run through the park, across Battersea Bridge, along Chelsea Embankment and back to the Active in Style store where we had amazing post workout treats from Plenish Cleanse – giving us a preview of their brand new Plenish+ Probiotic Water (check out my review of the two day Plenish Juice Cleanse here) , and Honey n Date showcasing their stunning raw cakes – free from gluten, sugar, dairy, soy and refined sugar…. and unbelievably delicious! Definite incentive to run a Personal Best when those were waiting for us at the finish line…. 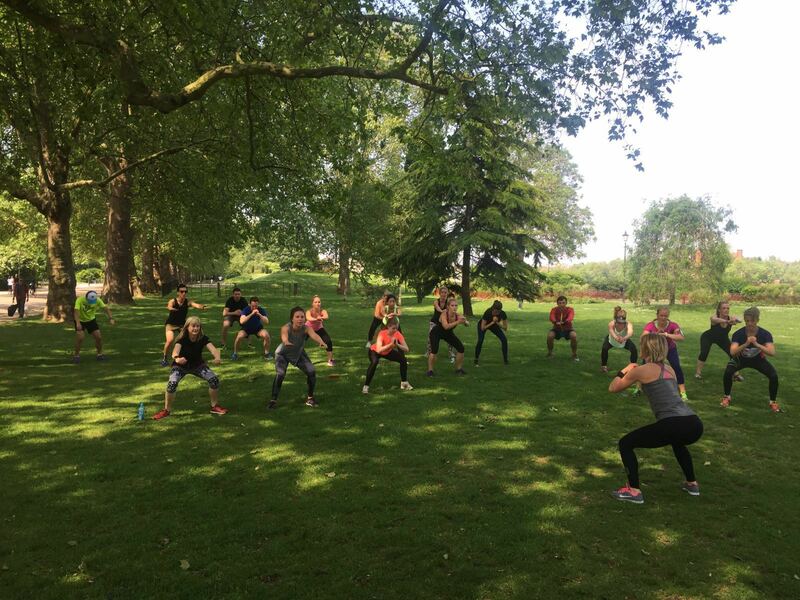 I incorporated lower and upper body and core work into the HIIT workout in Battersea Park – working all the major muscles, raising our heart rate and upping the intensity of our calorie burn – it was tough, but it was short (as I told them, just like me!) – personally I love short bursts of high intensity training to both keep focused, increase work rate and really ramp up that calorie burn in a short amount of time. 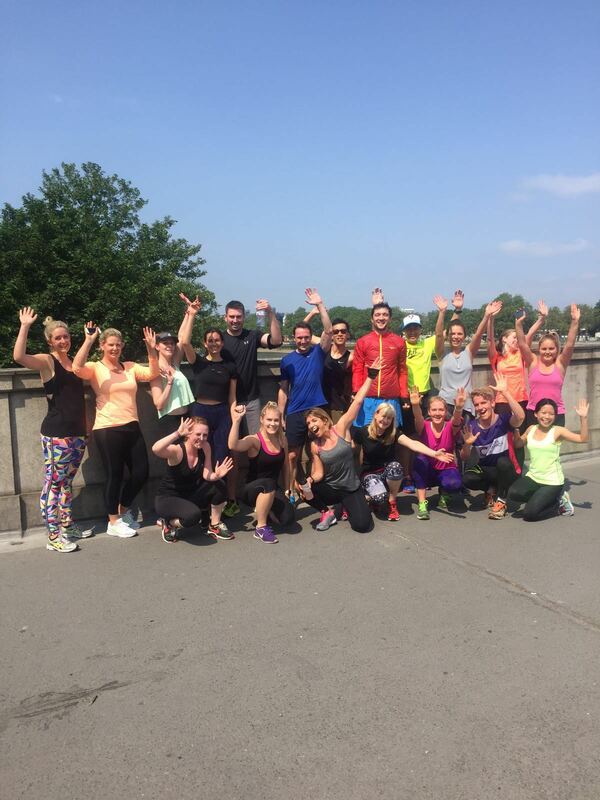 You’ll have to ask the #RUNCHELSEA crew this morning if they agree…. Everyone brought their A-Game, even the great British Weather for once – so proud of everyone’s efforts. I’d happily do it all again for some more Cucumber Lime Plenish+ probiotic water and a slice of Honey n Date raw Tiramisu! Thank you to Active in Style for inviting me – I won’t leak any spoilers but these guys have some VERY exciting plans in the pipeline – make sure you’re following them on social media to be kept up to date with the latest news. 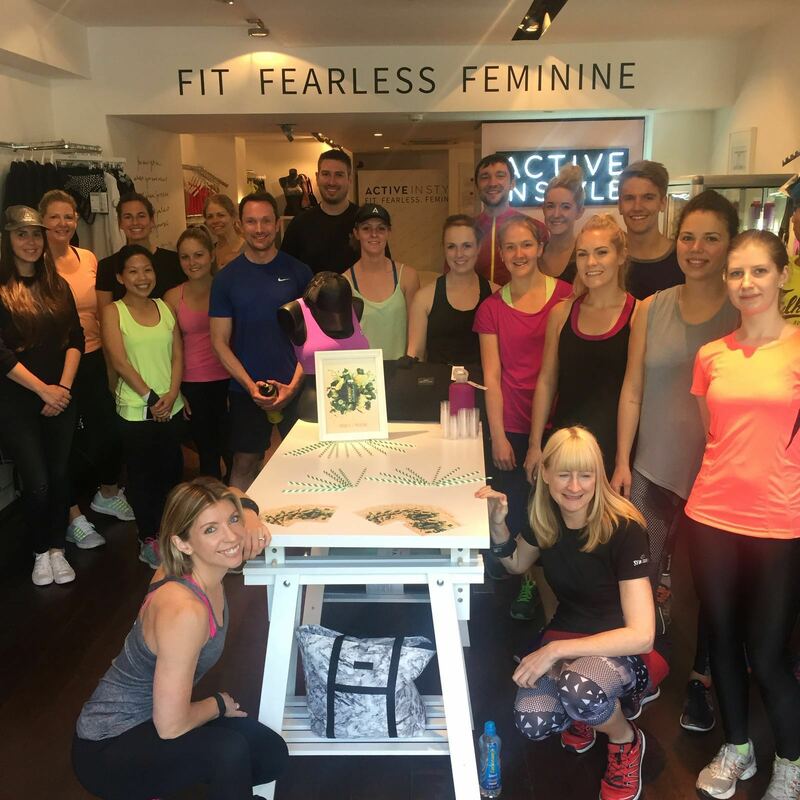 Also make sure you keep an eye on their feed and sign up to their newsletter to be the first to know about future #RUNCHELSEA events and free workouts – this was the 6th in a regular series of London based AIS active sessions. Style, sweat, smiles….. what more do you need on a Sunday morning?